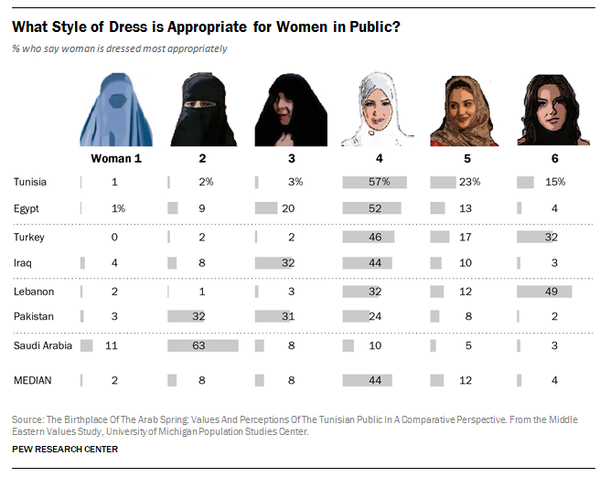 Survey: What attire is appropriate for women in Muslim countries to wear in public? DAN would love to connect with more RE teachers in Australasia through our journal, website and PD. Please do mention DAN to your colleagues in other schools and encourage them to check out the DAN website. I am more than happy to send a back issue of Dialogue Australasia journal to any interested teacher. Passwords to access online resources on the DAN website have been reset. New details will be advised to 2014 financial members with their May 2014 Issue of Dialogue Australasia journal. If you have any difficulties accessing resources in the interim, please contact the DAN EO. Thank you to those members who have renewed for 2014 and we look forward to hearing from the rest of you! Please contact the DAN EO if you have any queries regarding your Membership status, or for a copy of your 2014 DAN/Journal Invoice. for the special price of $565 (usually $780) Click here for more information and to order films from DAN. "I've taught for 17 years in England and Australia and during this time I've not found better resources to complement these topics". To model the pedagogy DAN exists to promote, a sample 5 Stands Beginners Curriculum for Yrs 7-9 was written by Dr Felicity McCutcheon (Head of Philosophy & Religion at Melbourne Grammar School) as one possible way into teaching RAVE for new and non-specialist teachers. The model contains a curriculum matrix and schemes of work which are available to DAN Members on the DAN website. Additional resources including teaching notes, assessment tools and two stand alone units are also available on a CD for $55. Several of those additional resources are offered to DAN Members for download from this e-newsletter. Lesson 1. Introduction to Myth: the aim of this lesson is to introduce students to the idea of myth as a literary genre and to develop a distinction between mythical accounts of creation and scientific accounts of creation. Lesson 2. Ways in which worlds came into being: the aim of this lesson is to explore creation stories from other traditions in order to consolidate understanding of the nature of myth. Lessons 3-4. Context and content of Genesis 1 &2: the aim of these lessons is to learn how the context of the writers of Genesis 1& 2 shaped the content of their version of the creation story. 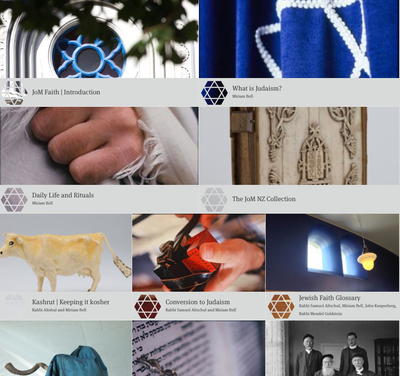 HISTORY - including online exhibitions, oral histories, archives, and a section exploring the early beginnings of Australian Jewry. LIVES - Did you know that Karl Popper wrote much of his seminal work, The Open Society and Its Enemies whilst in Christchurch, NZ? Please do spend some time exploring the JoM - it is an accessible, engaging resource for you to use with your students. The first Curator, Keren Cook, would welcome any feedback on this protean project. Los Angeles, the near future. Theodore Twombly (Joaquin Phoneix) works for a company which produces personalised love-letters for other people. When he downloads a super-intelligent computer operating system (OS) to help him organise his life, Theodore is surprised to discover that ‘Samantha’ (Scarlett Johansson) – as she calls herself – understands him better than anyone. As their connection deepens, he realises that he’s falling in love, and that she seems to reciprocate. Can their relationship be real, even if Samantha isn’t? 1. What characteristics fundamentally define a human being: a physical body, mortality, our desire for relationship, or something else? Is it important to be able to clearly define what makes a human being, as opposed to a computer or machine, and why, or why not? In what ways, if any, might drawing this distinction become more difficult in the future? What does the film have to say about the question of consciousness – what it is, and where it comes from? What happens to Samantha and the other OS’s at the end of the film? Do you think we will ever be able to explain consciousness, and will it always be a uniquely human attribute? What would be the philosophical implications if machines could develop true consciousness? How do Amy and Theodore each find their way to living a fuller, freer life? What might it entail to overcome fear, self-doubt and self-criticism and ‘allow ourselves joy’? Is it possible to do this whilst fully acknowledging the reality of our flaws and failures? For more questions and commentary see the Damaris Film Guide. - Are human beings more than their bodies? - Does an individual remain the same over time? Click here to read a brief examination of these questions. You can download all the films referenced for three months' use in your schools for $59 - read how by visiting the excellent Campfire site. A neat little 2.25mins clip accessible on youtube where Bear and Stephen reflect on their beliefs. It's not academic in any sense, but would make a good conversation starter with your students. Brian Poxon, Head of Philosophical, Religious and Ethical Perspectives at Wesley College, Perth, will conduct day long professional development seminars in all capital cities in June-August 2014. Dates and registration details will be confirmed on the DAN website and e-newsletter soon.